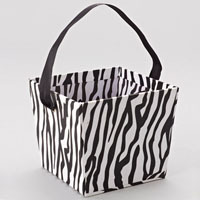 Paper Bucket with Ribbon Handle Zebra. Approx. 5" x 5" x 4 ¼"